First thing’s first, it’s crucial to give your rug a deep clean before you place it in storage. While you may be tempted to just run the vacuum over your rug before storing it, it’s best to take your rug into a professional rug cleaner. Make sure that they soak and soap your rug in order to kill off any eggs that reside in your carpet — moth eggs can lie dormant for years before they hatch, and simply vacuuming your rug won’t remove all of the eggs in your rug (especially for thicker rugs!). Giving your rug a thorough clean up front ensures that it’s pest free as you place it in storage. Apply a protective treatment to your rug. Most rug cleaners offer protective treatments to keep moths and other pests from infiltrating the rug. Protectants repel pests from building their homes and reproducing in your rugs. While you may be tempted to place your rug in plastic to protect it from insects, think again. Wool fibers actually hold moisture, and when a rug is covered in plastic, the moisture can seep out and remain near the surface of your rug fibers. Given a bit of time, this moisture can attract more pests, and it can cause mold to grow. Instead, cover your rug with paper. Use a roll of paper (Tyvek® paper is best) to keep water from accumulating. Your rug will breathe more easily, keeping insects and mold out. VIsit your storage space regularly to ensure that your rug isn’t infested. You may notice that fibers have sloughed off of your rug, you may see bare spots, or you might notice missing material. If you do, act right away to repair and clean your rug. Consider cleaning your rug every few months if you’re storing your rug for an extended period of time. Also, if you get a chance, bring your rug outside, and put it in the sun for a few hours. Insects avoid sunlight, and a bit of time outside will allow your rug to breathe and shed some moisture. 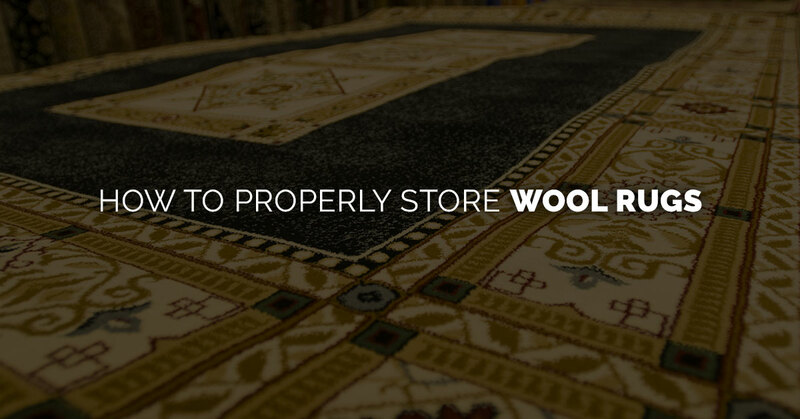 Now that you know the right techniques to store your rugs, come to the right place! J & B Storage provides storage solutions for folks throughout northern Colorado. We’re conveniently located in Loveland. Get started with a free quote!